← The Hijacking Of…1,2,3 SCKLM 2015! For some, like myself, this will be our first ride in Kampar. I was told that there is a beautiful lake & many scenic paths to delight any cycling enthusiast. If you see me riding & clicking away with my camera, please say “hi” & smile for the camera – who knows maybe your photo will appear in a newspaper or magazine?! 1. Please note that Participants are not required to wear the event T-Shirt. You may wear your own cycling attire. 2. Your helmet (and sticker) will be your ‘passport’ for Water Stations, Medal Collection, Lucky Draw Prize Collection, and access to the Lunch Buffet. 3. Only registered participants will receive identification stickers. Please stick them on both your helmet and bicycle. 4. There will be food items, flowers, fruits, and more! For participants who will be arriving with their cars, please note that you can park your cars at the EAST WING (at the back of the hotel). Please refer to map below. 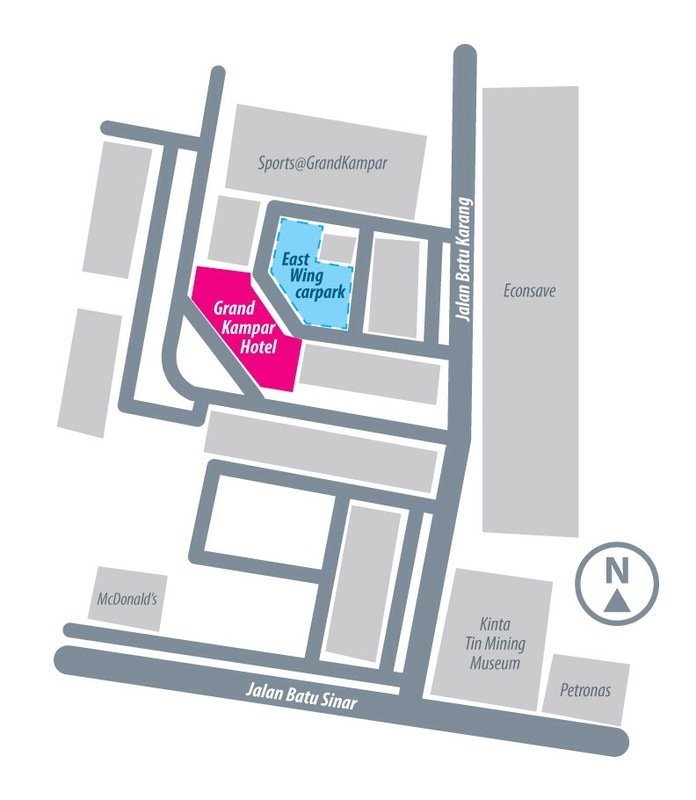 The West Wing Carpark (hotel front) will be reserved for Charity Bazaar stalls and the Start / Finish Lane. a) Please follow the instructions of the officials & marshals at all times. b) Be aware of other cyclists around you at all times. c) Give hand signals when stopping, turning & shout-out any dangerous road obstacles & potholes. d) Avoid stopping suddenly. Veer to the left road shoulder if you need to stop. e) Do not overtake from the left: This is not a race. f) Although, there will be road marshals along the route, it is your responsibility to pratice SAFE CYCLING at all times. g) Go early to the starting area to avoid congestion & last minute dash. h) This is a fun ride, so take your time to enjoy the sights & sounds of Kampar. Always remember, it is not the bike, it’s the CYCLIST that matters! 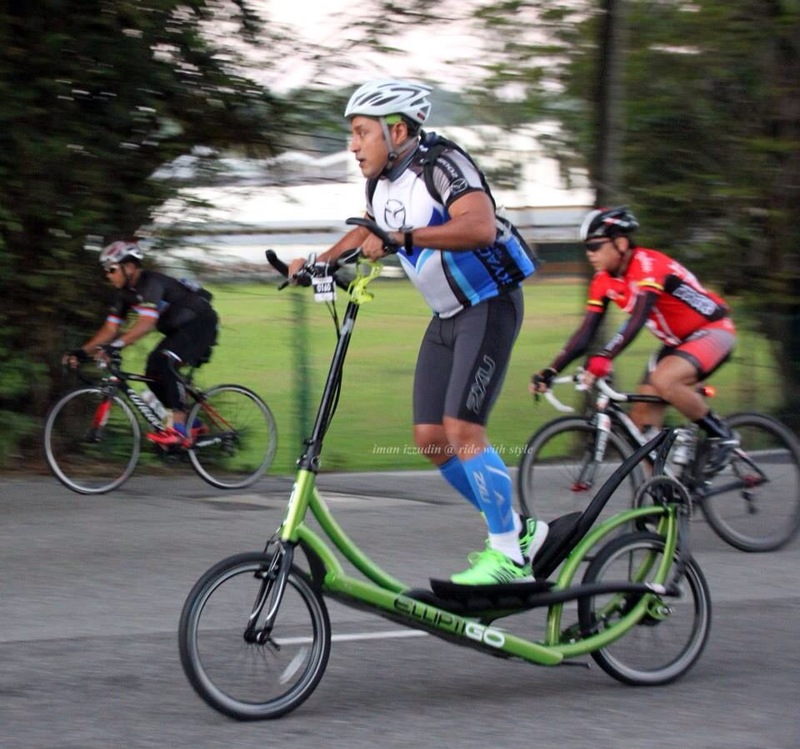 This entry was posted in 2015, Bicycle, ElliptiGO, ElliptiGO Gus, Event, Event Organiser, Go Green, GOGUS, Safety, Writing and tagged 2015, cycling, Fun Ride, GOGUS, Kampar Majesty Hotel, Kampar Majesty Ride, perak, Sightseeing. Bookmark the permalink.